We’re an award-winning team of like-minded professionals with a combination of broadcast, studio and post production backgrounds. We met whilst working at ITV's London Studios, having allpreviously worked in traditional post production houses. This provided us with the understanding of working in a broadcaster with live studios for sport and entertainment shows. Our breadth of knowledge has since expanded as we moved into other parts of the broadcast industry and we believe that it’s this mix of skills and experiences that stands our clients in good stead when using us. An experienced post production commercial manager, Soraya was Head of Post Production at The London Studios (ITV) for 7 years, having previously been the Head of Post Production at London Post and Bookings Manager at Arena P3. In 2012 she went freelance as a consultant offering business, operational and strategic advice and practical project management to various media companies including BBC Archive and BBC Studios and Post Production. Soraya understands technical concepts without being technical and is able to form these concepts into operational service level agreements and cost efficient contracts for clients. A multi-disciplined cycling fan, Simon brings over 15 years of technical experience to the team. Formerly an engineer at Hyperactive, XS Hire and TVE Simon has worked all over the world, from G8 Summit's, FIFA World Cup's to BBC Springwatch, Glastonbury and The Proms. 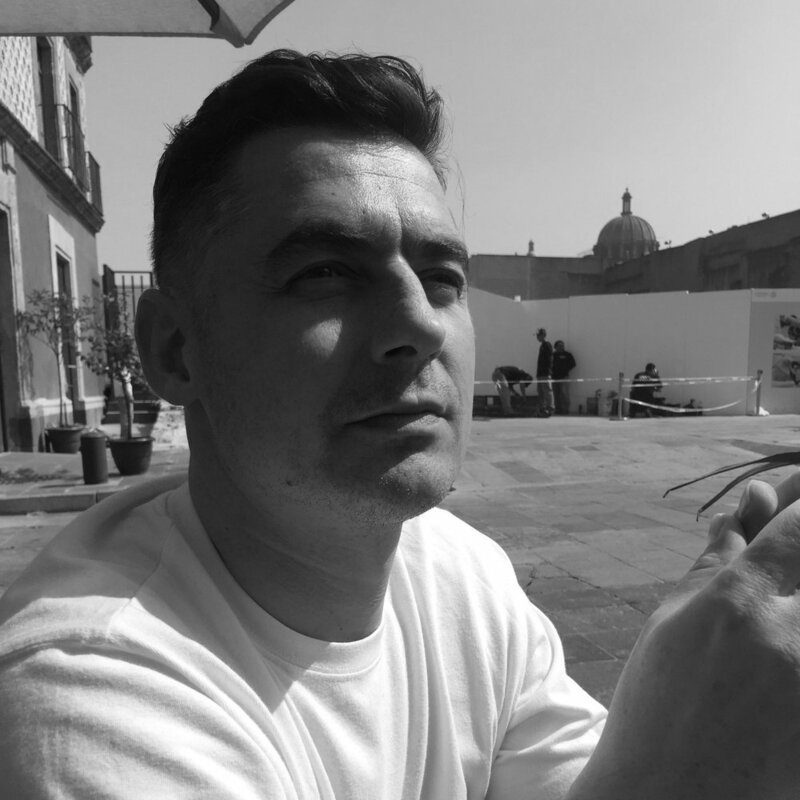 Simon is an expert in EVS, Adobe and Avid Interplay systems and has a strong interest and background in audio, stemming from his degree at The University of Salford. Always enjoying making it happen, Chris started in the industry 10 years ago working in Nats Post Production as a VT operator and edit assistant on Avid and Final Cut Pro, before moving across to Evolutions where he also first started to use Baselight. In 2006 he moved to ITV's The London Studios, where he became Technical Manager, managing people and workflows for shows such as Come Dine With Me and on site management for The Royal Variety Show. 2012 saw Chris move to Timeline Television supporting Avid, Adobe and EVS systems around the globe for major sporting events including Formula 1 on location for Sky Sports award winning coverage. Chris is well practiced in providing support and training for logging, editing and workflow integration for most of the major broadcast systems. Stephen comes to us with 30 years of experience in the post production and media industry. Starting from Linear tape editing in advertising to the first truly digital post house in the UK, through and into the non-linear world working on a variety of systems for short and long-form broadcast formats for the television industry. He then moved from editing to colour correction via a ‘product specialist’ and ‘support engineer’ role within an innovative global British software systems company, who developed ground breaking and award winning film scanning, colour science and file based colour grading systems and technologies. From there he went on to become an accomplished colourist, both in a full time and freelance capacity. Since we started The Collectv 5 years ago, Stephen has been working with us and our clients, where his experience in workflow, systems and data management have been invaluable in helping us to deliver our clients projects both technically and operationally with enthusiasm and an eye for detail. Mustapha has come from Premier League Productions where he has spent the last three years being a part of the media management department. He started out as a digital content logger during a placement year and then went on to be a Media Coordinator. Using IP Director, AVID, ISIS 7K and Adobe Premier to manage the colossal amount of media being used to produce a daily magazine programming for a worldwide audience. Having also recently graduated from Portsmouth University’s Television and Broadcasting course he is keen to use his fresh knowledge and develop himself within the technical broadcasting world as an engineer. Andrew’s core belief is ‘Anything is possible’. He brings a wealth of financial and business experience having started his early life training with Spicer & Pegler, Chartered Accountants, before moving into senior management roles with BBDO and First City Advertising. Andrew has worked for a wide range of UK and international clients and thrives on the passion and day-to-day challenges faced by creative services companies. At weekends, you’re most likely to find him keeling over in a sailing dingy or waist deep in a river, fishing rod in hand!